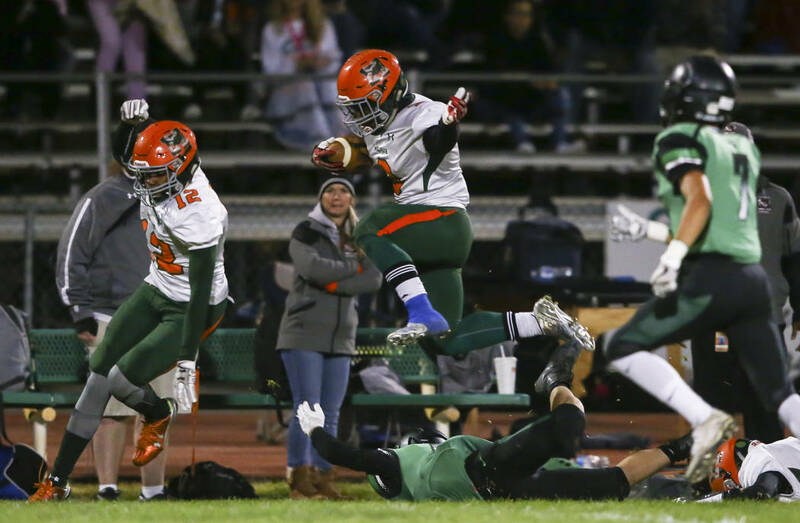 Mojave will face defending state champion Desert Pines in the Class 3A state football final at 1 p.m. Saturday at Bishop Gorman. Posters line the walls, student news delivers congratulatory messages, and faculty and alumni proudly fire off their #THISisMojave tweets. 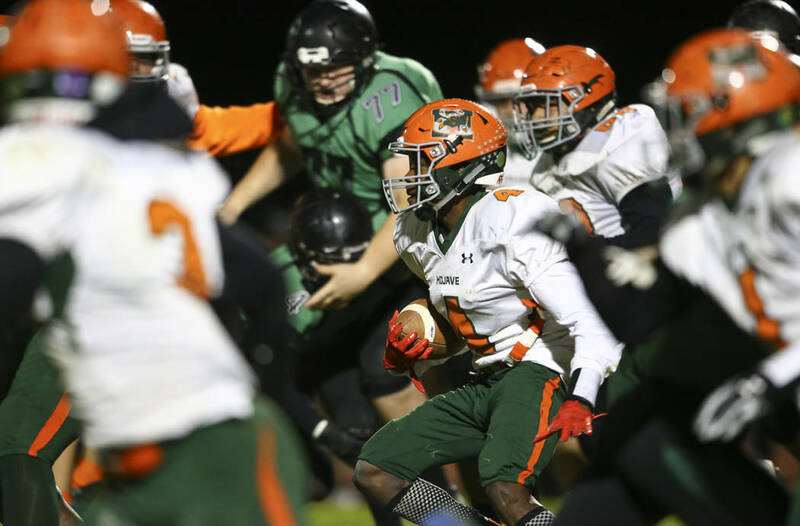 Rattler Nation is in full effect and has been for weeks because of the football team’s improbable turnaround in such a jaw-dropping amount of time. Green and orange seem to be everyone’s favorite colors again. 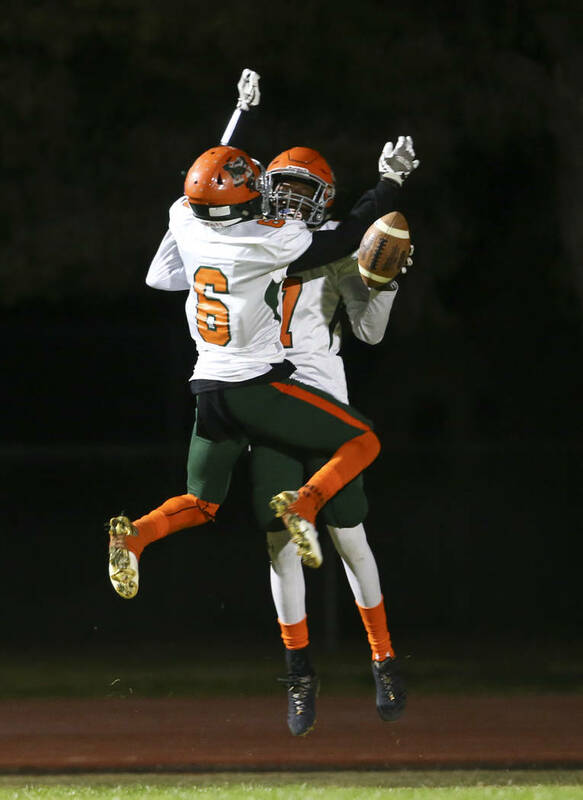 After winning one game last season, Mojave is set to play in its first state final Saturday. 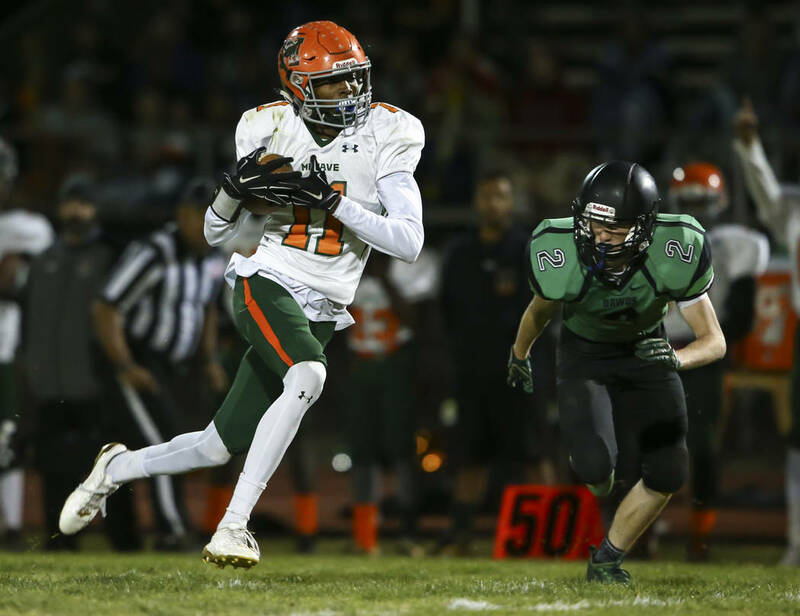 The Rattlers (10-2) face defending champion Desert Pines (9-2) for the Class 3A championship at 1 p.m. at Bishop Gorman High School. Love that Mojave hasn’t had in a long time. Actually, ever since breaking ground in 1997. But after six consecutive wins, including a 42-13 victory at Fernley last weekend, the school is buzzing for its 20th anniversary. So how did it happen? How did a school that never has made a state tournament, let alone win a league or region title, make it to the final day of the season after going 1-8 the season before? 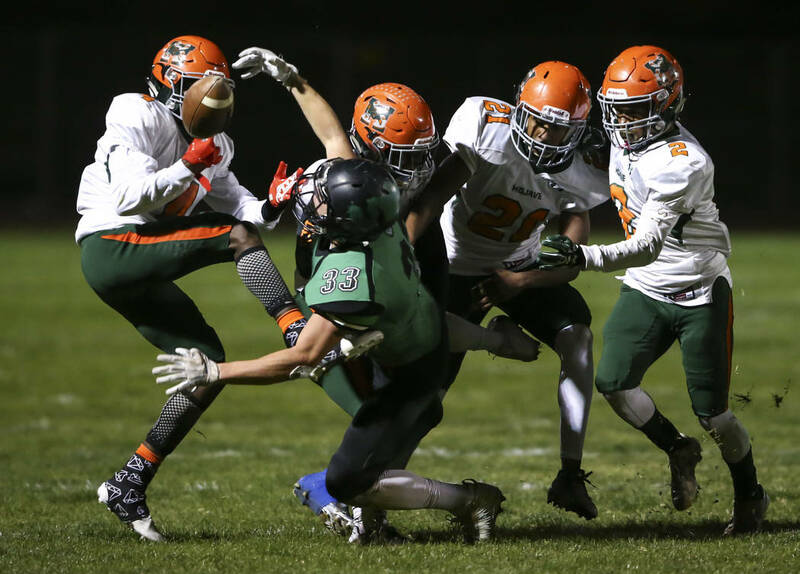 Gonzalez, who started as Mojave’s defensive coordinator under former coach Joe Delgado, knew the defense that allowed 24.6 points per game a year ago was “all set.” The Rattlers returned several players, including the do-it-all Walker, who has been the face of the program this season. 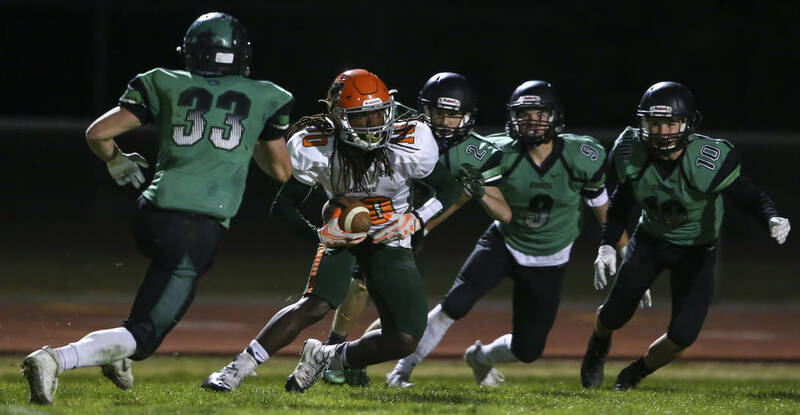 Mojave has posted three shutouts this season, lowered its opponents’ scoring average to 18 points and wreaked havoc on all levels of the defense (27 sacks, 13 fumble recoveries, 18 interceptions, four touchdowns). Walker (63 tackles), David Warren (seven sacks) and John Harper (six interceptions) lead the way statistically. The offense has flourished under Kevin Walker — Tawee’s father. 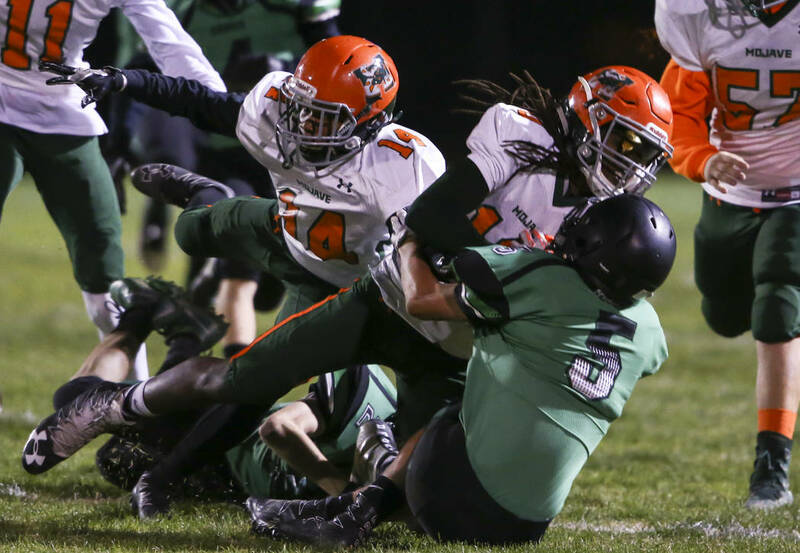 Mojave has five rushers over 200 yards and could get another Saturday. It will be a rematch with Desert Pines, which defeated Mojave 35-6 at home on Oct. 6. Gonzalez said his team probably was “a little intimidated” the first game, considering the Jaguars have been a Southern Nevada powerhouse and churn out Division I players annually. Especially that of Tawee Walker.